The long awaited arrival of eight brand new, custom built, East Cape Evo skiffs was greeted by picture postcard days of calm seas and light winds. 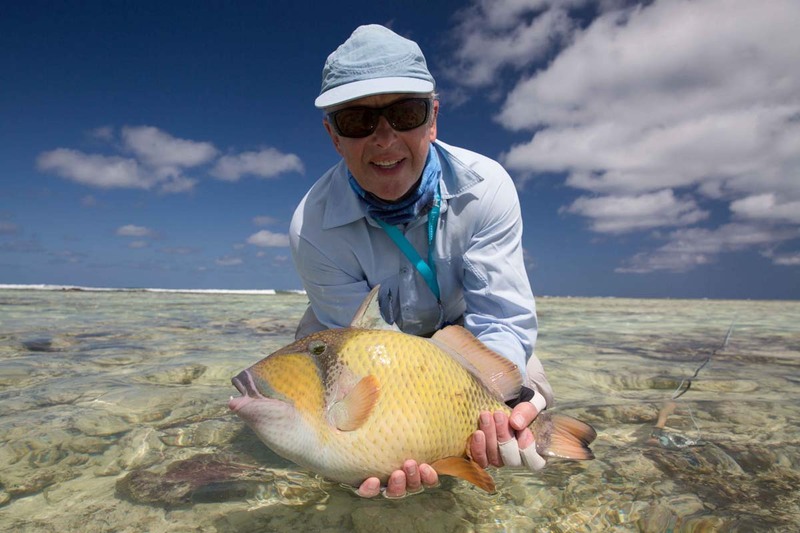 The neap tide cycle was allowing perfect conditions for targeting Triggerfish on the fingers, and with a few more GTs being seen there were any number of possibilities for the anglers that stepped onto St. François atoll’s famous flats. 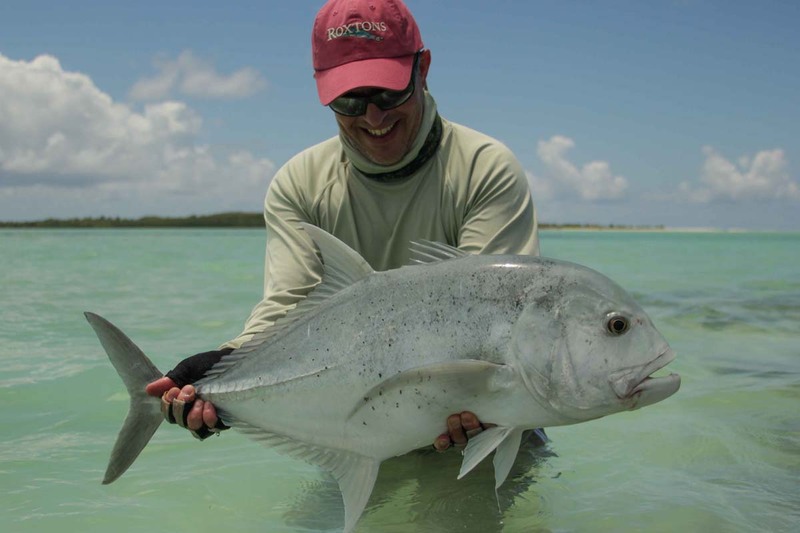 The fishing got started at a furious pace as Alphonse veteran Peter W opened the week by catching twenty-plus Bonefish and landing two Triggerfish before lunch, while Brian H celebrated his first ever Bonefish on fly. 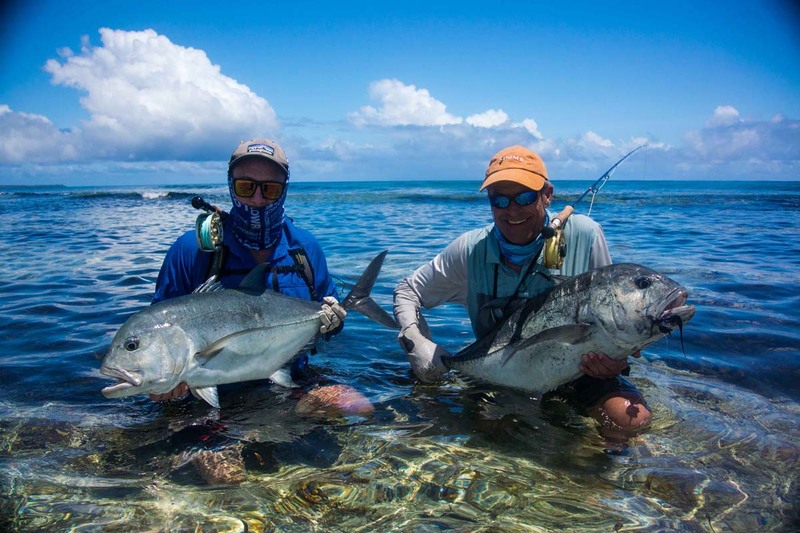 The Turley family rotated their position on the angling throne throughout the week and there were a number of highlights to their fishing journey at Alphonse Island. Mark T caught a very respectable 80cm GT whilst walking in the surf and his son Bobby completed the ”Bills and Bones Slam” after a backbreaking tug of war with a monster Sailfish and closing the day with a handful of Bonefish. 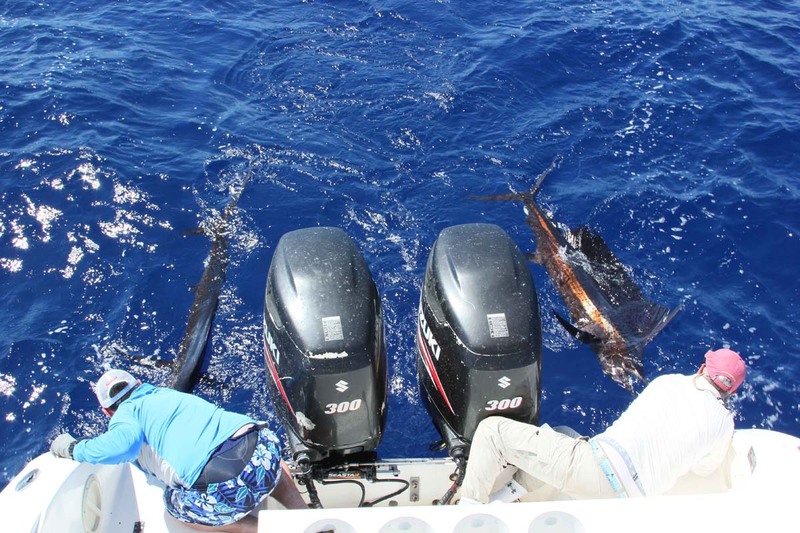 Mark and Bobby also joined the twenty-plus Bonefish Club and Mark managed a fin perfect Sailfish. 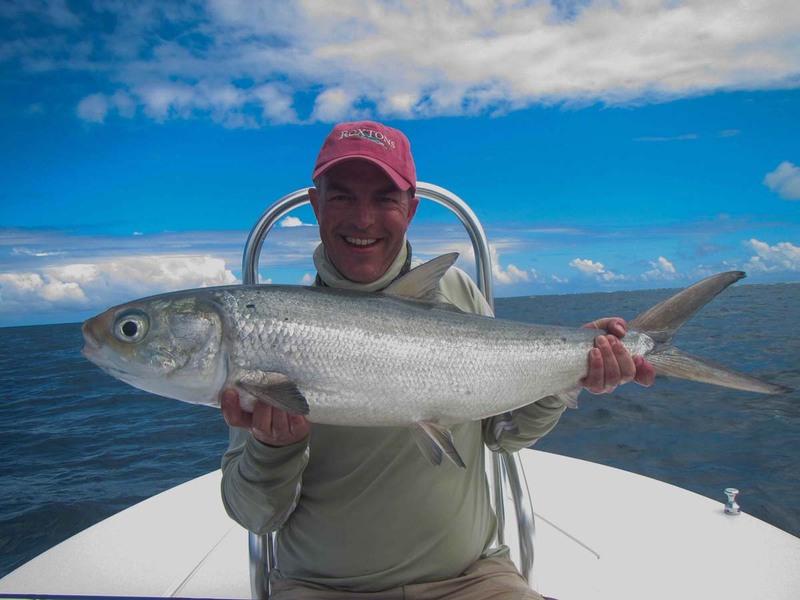 With his very last cast of the day, Greg T managed to hook and land a beast of a Milkfish in just ten minutes. 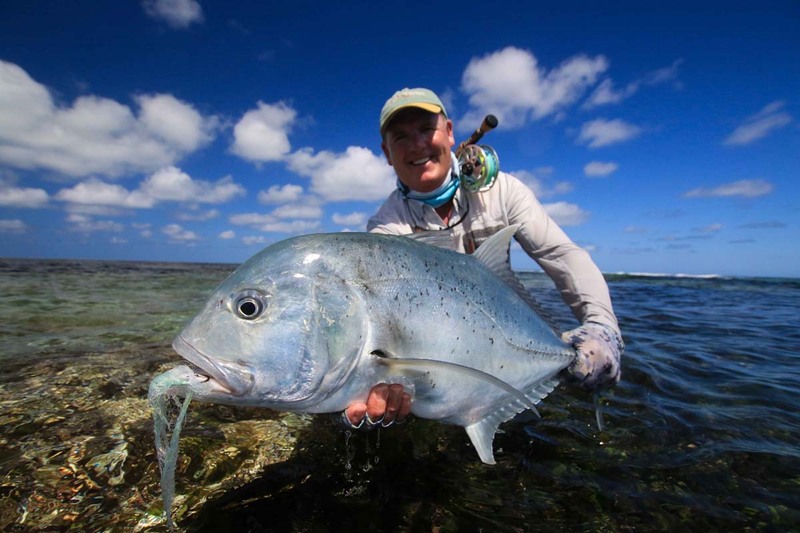 Peter R was certainly the top angler of the week and ended with an impressive tally of three GT’s and four Triggerfish. Peter also went out for a half day bluewater session with his friend Jack S and the pair managed to double up on Sailfish twice, with them each landing three beautiful fish in one afternoon. Dominika M and Pavel O arrived at Alphonse loving conventional bluewater angling, but left as converted fly fishers. 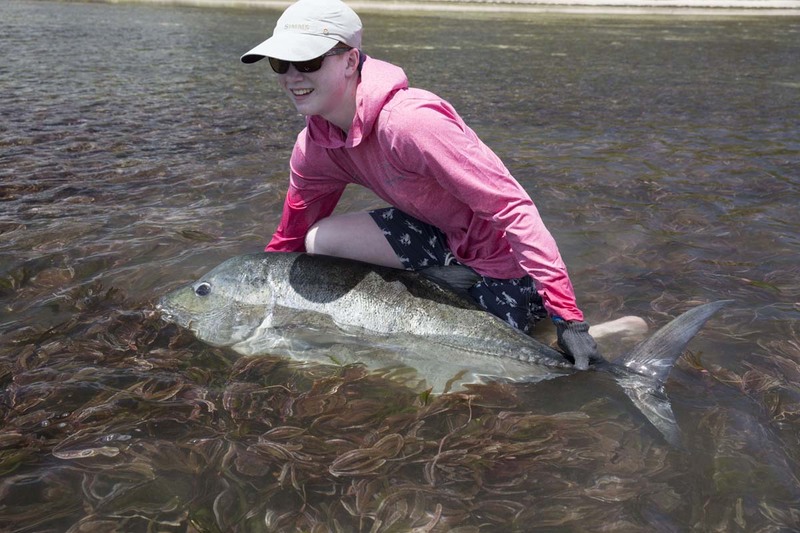 They spent their last couple of days only targeting offshore species on fly. Total catch for the couple in the week ended up at nine Sailfish, six Wahoo, three Yellowfin Tuna, and Dominika landed the biggest Sailfish of the season on fly, stretching the scale to 100 pounds. 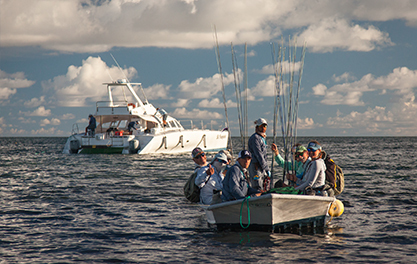 All in all it was a fantastic week of fishing both on the flats and out on the high seas.